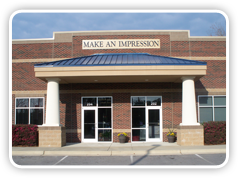 Make An Impression, Inc has been in business since 2002. Originally located in Arbor Creek Business Center, Make An Impression expanded into a larger location in the Holly Springs' Industrial Park in 2009. Clientele varies from individuals to large corporations. We give the same quality and care no matter if your job is large or small. From simple copies / prints to full project management, we are always willing to share our knowledge. Holly Springs Chamber member since 2002. Jim has been in the industry for over 30 years. He has been in every aspect of the printing industry from offset to digital as well as from prepress to management. Jim's forte is project management, from beginning to end.